This display celebrates the built and constructed environment in the Eastern region. Ranging from rare Samuel and Nathaniel Buck Drawings of Butley Priory and Bury St.Edmonds Abbey, 1737 through to Joyce Pallot's mid century painting of Marriage's Mill, Colchester, 1956. 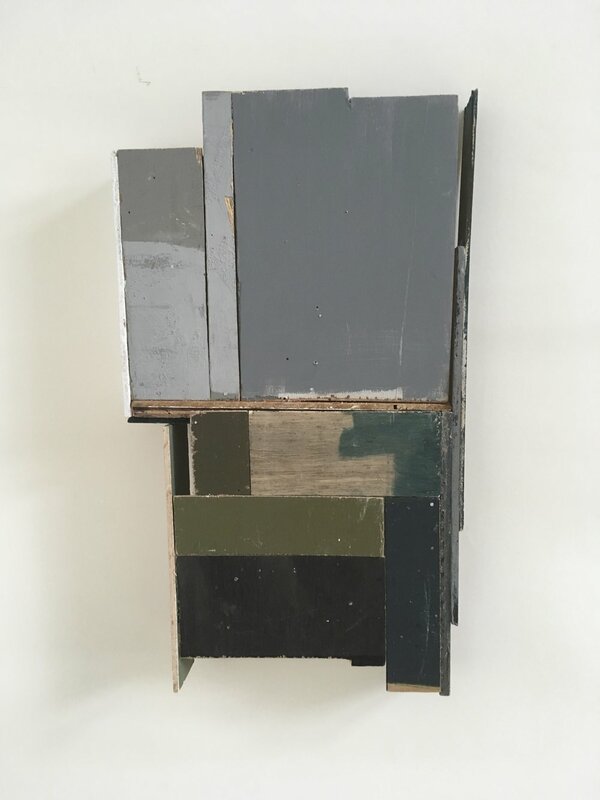 Contemporary work includes Jane Morter's contemporary constructions, Alex Curry's delicate drawings of electricity poles and Kate Sherman's paintings of Suffolk buildings. Images are a selection of works from the display. Church in Suffolk, c.1950 by Josselin Bodley (1893-1974). Oil on board. Untitled, 2017 by Jane Morter. Acrylic paint, plywood and panel pins. Morter uses plywood and roughly painted surfaces to reference the temporary structures and offcuts found on building sites. She has developed a simple vocabulary by using these throwaway forms. The resulting constructions achieve a delicate balance the creates a sense of both the temporary and the permanent. Morley studied architecture at the RCA and took up painting while on a scholarship in Italy. He illustrated guides to Florence and Venice. He is represented in the British Museum's Collection. Marriage's Mill, 1956 (detail) by Joyce Pallot (1912-2004). Oil on board. She contributed to the Festival of Britain in 1951 and also made many large scale concrete murals with her husband, Henry Collins. After (4), 2015 by Kate Sherman. Oil on panel. Sherman's work originates from photographs she has taken of her surroundings (in this case a Suffolk cottage). Her interest in the unpopulated landscape and muted palette create a quietness almost melancholic landscape.